On identical twins & opportunity. 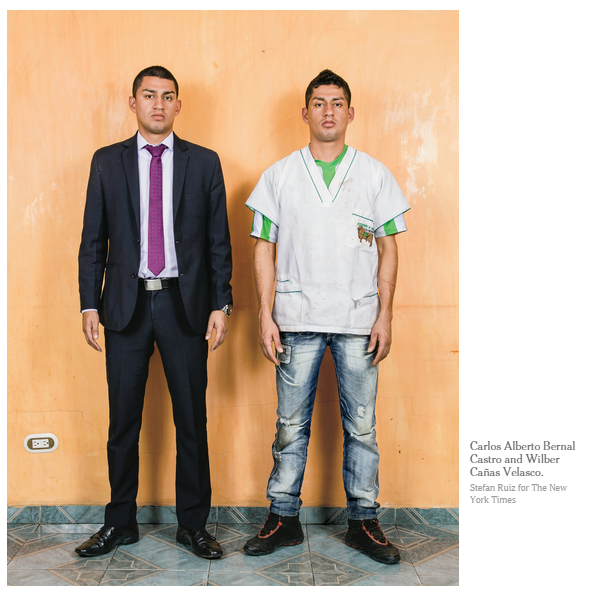 If you haven’t read it yet, do yourself a favor and look up Susan Dominus’s article on accidentally-swapped identical twins (who were then raised as two sets of fraternal twins) in the New York Times Magazine. It’s long, so it might take you a while. But your time will have been well spent. I was apparently near zero-percent functional as a human being while clutching the magazine between my grubby paws. K asked me multiple questions that I blurted out irrelevant, inaccurate answers for just to get back to reading, I drove us to library baby story time without bringing any money to pay for parking (shockingly, I did not attempt to splay the magazine across the steering wheel & read while driving), then declared that (just so we wouldn’t get a ticket!) I’d sit in the car and guard it while N & K went in to the library. Until I finished the article, though, I was probably an ineffectual guard — I could’ve been towed away without noticing anything was wrong. Hmm, there is some strange slanted motion on this page… an interesting extra-textual decision on Dominus’s part. Okay, have you read it yet? Do you need the link again? Here it is! 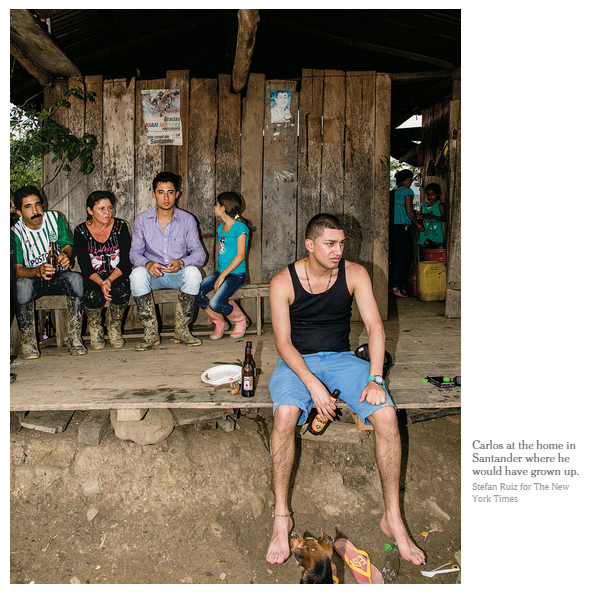 Carlos [the genetic offspring of impoverished parents] was wrong, William felt certain. Sometimes, a will was not enough. Had he grown up in Santander, Carlos would not be an accountant on the rise right now. And Carlos’s insistence on that point felt, to William, like an insult to all he had endured — a life he had endured, no less, in Carlos’s place. This realization is hard for Carlos to accept: he was always a hard worker, excelled in school (“Growing up, Carlos was the twin who aced the homework and Jorge [who was born to & raised by the middle class family — who “deserved” his opportunities] the twin who copied it. Now they were each doing well; Carlos worked at an accounting firm during the day and was also completing a degree at night.”), and considered success his just reward. To accept that his current status was due largely to a bizarre intervention by fate would mean acknowledging that he earned less of his success than he had always believed. [Carlos] has discovered, from the questions [two reporters] asked, that Wilber [born to & raised by impoverished parents] had no intention of returning to school. That disappointed [Carlos]; he wanted to talk to Wilber about more than women. He wanted more for Wilber — wanted more from Wilber, but he was starting to think he might not get it. 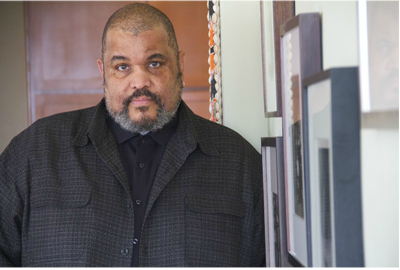 Dawoud Bey, photographer, contributor to Rebecca Walker’s Black Cool. My brother and I were among the first group of Black kids to integrate all-white schools through busing: that is, we were taken out of the schools in our largely Black neighborhood and brought to schools in white neighborhoods, where presumably the quality of educational services being delivered was better. To survive in that world, especially in higher quarters, we had to become adept at what you might call a kind of behavioral code switching, the use of more than one language in speech. It soon became apparent that Black intellectual swagger was also suspect in such an environment, as I was constantly asked where I had copied my homework from, especially those assignments that required original thinking, such as writing a poem. Bey clearly persevered — I imagine you have to know you’re good to make it as a photographer — but it’s also perfectly reasonable that many children, if they’re punished both for not trying (low grade) and trying (accused of cheating) in school, would learn not to try. And Wilber, the poor twin from the article, didn’t even have access to teachers who would’ve expected failure from a country kid. It’s reasonable for him to have learned to strive for attainable goals. And, to get back to the idea that Carlos was given opportunities that should have been William’s — which is stated in the article, and which I reflexively thought, too, even after everything I’ve read about our history — why, exactly, is it fair for one newborn to be consigned to doom and the other provided with hope? They were born to parents who had achieved different lots in life. But those parents, too, were presumably offered different opportunities — we could probably look back through many generations and see that the forebears of impoverished children were born into rotten situation after rotten situation. In the United States, I think it’s ridiculous that anyone would argue that the need for affirmative action has passed. Statistically, a baby born to black parents today will have fewer opportunities — worse nutrition, less green space to play in, fewer books & toys at home, less time to be talked to by parents, worse schools — than a baby born to white parents. And, sure, the issue is really one of wealth — being born to poor parents results in fewer opportunities than being born to wealthy parents — but race & wealth are still correlated in this country. And for pretty obvious reasons: wealth begets wealth, these differences in general will simply be compounded over time, and there has never been an effort toward equalizing reparations for the fact that black people were brutally enslaved not long ago. Which, again, isn’t to take anything away from what Carlos has achieved. 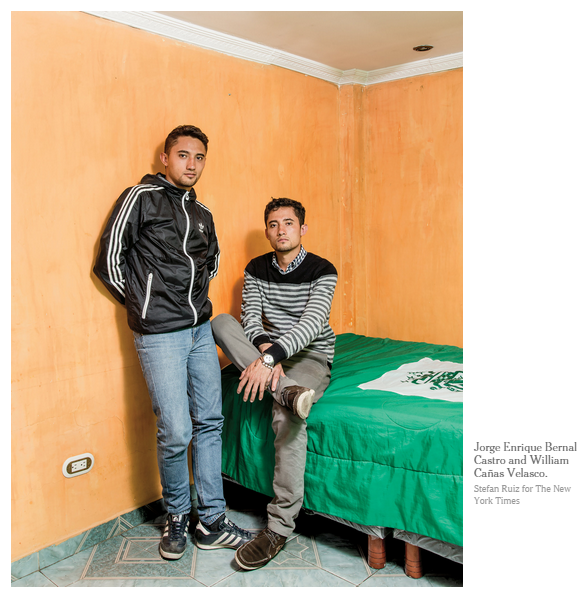 He & his fraternal brother, raised together in that middle class family, were presumably afforded similar opportunities, and Carlos achieved more (within the capitalist framework that defines success by money & degrees & beautiful romantic partners). Which clearly wasn’t guaranteed — a strange twist of fate gave him a chance, not success. But I strongly believe that his success demonstrates how evil it is that not all children are given a chance. The article is great, but it also makes me feel ashamed to be an American — because I live in a country where inequality starts so grievously at birth. On the mortgage crisis and buffoonish, unethical prosecution. On inflammatory language & music.